An interview between Peter White and Andrew Spencer, Head of Education and Training at “The Totally Gaming Academy” from Clarion Events discuss this year’s progression in the knowledge of casino gaming. Total Gaming Academy is a provider who trains companies to operate in the casino gaming area, whether they are operators online or land based. 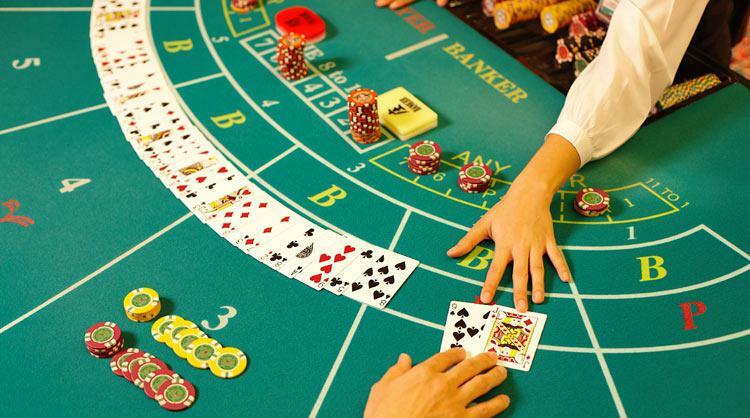 The training is done by industry’s business people and aims to develop the skills and knowledge of casino gaming, usually at the management level. Andrew Spencer says that some of the main aspects of these courses is the popularity with Gaming Operators. Why? Because the operators want to see credible and experienced gaming professionals at the front. They want to learn how to make a difference in their own business, whether is a new business or operating one more efficiently. Gaming operators also enjoy meeting other delegates at the event. It’s not just presenting facts and knowledge, it’s also about developing skills and ideas and crucial understanding. The whole point is to be able to equip people to change the business through developing people. The events of training have been hosted in around 30 countries, across Europe, South and North America, Africa and Asia. Totally Gaming Academy is also looking towards South America and South East Asia. The academy is also involved towards the online sector. Andrew thinks that this sector has a significant growth and it demands a whole different set of training requirements. In addition, land based operators have to consider how are they going to adapt and develop their online offer, alongside the online casino operators. The year of 2019 in the events for the industry of casino gaming starts with ICE London. ICE London is an gaming event destined for bringing together the international offline and online sectors together. Totally Gaming Academy will have a three days activity at ICE London. The event will be held at ICE London Theatre and it will include a taster sessions of Totally Gaming Academy courses. Andrew Spencer himself oversees the training portofolio. He handles the choice of subject matters, trainer and the training delivery. His job is to make sure that the programme is running and is meeting the business needs, run by credible gaming professionals. Casino Executive are advised to try the Totally Gaming Academy courses. Andrew Spencer also mentioned that he sees the courses different to conference attendance, because they are concentrated for a few days, focussing on skills and knowledge development to a very specific area, which is a different thing to conference attendance. They are both valuable, but have different benefits. By attending to these courses the gaming operators will benefit that their business will become a better product and service and it will be better organised. Beyond the mandatory compliance training, it’s mostly about improving the business and solving the problems through equipping the team to do the job more effectively. The courses are planned by choosing a location and venues for the learner with easy access of a transport, but the courses can also be available at the casino venues, for example, in London the courses are run at the Hippodrome Casino. Some courses are preserved in a complete portfolio of training for those who manage the business, land based casinos or online casinos. However, operators can also suggest new courses, training and content.